I thought I would share a unique photo I took in Central Park in New York City. It’s not every day that you see a raccoon walking around in Central Park in the middle of the day. 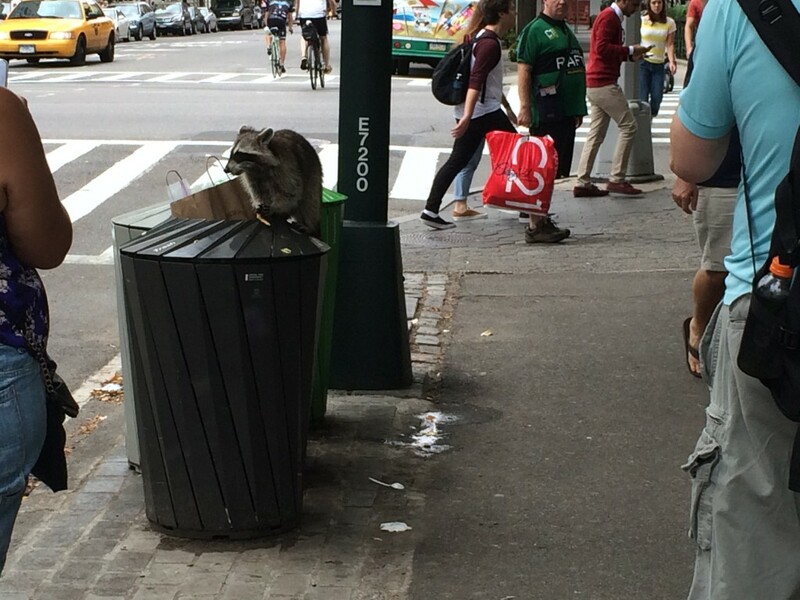 In fact, in the ten years I lived in Manhattan, I can only recall seeing a raccoon a handful of times. It’s a bit disconcerting to see this because I hear that these nocturnal animals don’t regularly come out during the day around groups of people unless they are sick. For those who may care, this photo was taken at the East 72nd Street entrance of the park. Anyway, I thought I would share this photo with you. That’s not a raccoon it’s one of those massive NYC rats. He’s testing out his Masked Marauder Halloween costume early this year! I hope no one touched the raccoon or got scratched or bitten. I live on a farm with lots of raccoons around and if they show up in the day there is a high probability of distemper or rabies. We got out of the area pretty quickly. Didn’t have any interest in taking chances. I hear NYC is the city that never sleeps, I guess that goes for Raccoons as well. I thought I saw a couple of racoons around the NY Penn station, Madison Square Garden at 4am today…. but they were a couple of drunkard teenagers waiting for the NJ transit to be opened. I have been to NYC, I assumed it was just a banker.